AI-powered drug design rediscovered by Science! Identifying the exact spot in the brain is the new development in the seizures research. This can be marked as a potential transformation in the world of epilepsy. In regions where the income is low or middle, around 75% of people with epilepsy may not receive the treatment they need. While the disorder had become a common phenomenon, new research and development have brought two new ways to treat silent seizures in children. In Dravet syndrome, epilepsy can start forming around the age of as early as 3 months. The infant encounters convulsive seizures wherein their arms and legs jerk repeatedly. The issue gets bigger as the infant become toddlers. However, a recent study draws these silent seizures in a mouse model of Dravet syndrome. The study further pinpoints the brain area that could be targeted to stop them. 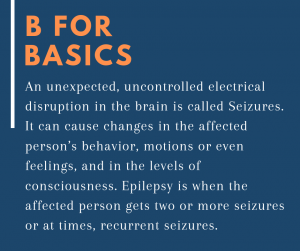 They begin having another type of seizure which may not cause obvious convulsions but disturb responsiveness slightly making the child unconscious. This can occur more than 50 times every day. As the new research unveils new ways, the difficult challenge to detect and treat may soon end up the trouble. That said, the research is still going on eliminating the non-convulsive seizures. As the case study taken place on mice has shown considerable transformations, it is projected to have almost a similar impact on the human Dravet Syndrome. If things fall into places, the discovery can astoundingly improve the quality of life in children who are the victim of epilepsy disorders. This discovery encouraged two new strategies for the prevention of non-convulsive seizures simulating Dravet syndrome. 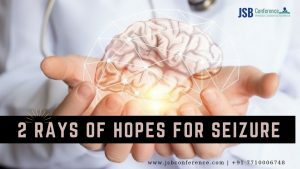 There are Neurological journals being conducted for psychiatrists, scientists, brain surgeons from Europe, Dubai, Canada, US and many other parts of the world. Researchers at the Epilepsy conference have already shown how neurons are highly responsible for the sending signals and eventually creating a complex network. This makes the basic and higher brain functions operational. When neurons light up, they transfer the instructed objectives for the receiving cell. This is further forwarded to the next cell to take action. Meanwhile, the inhibitory cells hinder the path of instructions, as a result, the instructions are not received at the other end. Since inhibitory cells work unduly weak, this results in excitement level getting raised at the same time. Dating back to the previous studies in a few years ago, the research has begun emphasizing more on the cerebral cortex area of the brain, putting efforts to make it active. That being said, some of the studies are also focusing on cognition, sleep, consciousness, and attention. If the non-convulsive seizures in children happen to get eliminated successfully, there can be better conditions which will help the victim not improve the quality of life but reach their full potential. Among the Dravet Syndrome, more than 70% of patients have a genetic mutation which develops delays in maturing and seizures. This may seem a serious issue but it can brutally fatal, at times leading to sudden deaths. An upcoming conference addressing the issue will discuss epilepsy and will bring more light on its treatment research and much more. The conducted research showed that thalamus was the area where inhibitory cells were more active in the models of Dravet Syndrome. Research recorded brain waves detecting the abnormalities in brain activity in the mouse. It was observed that the non-convulsive seizures were more recurrent than convulsive seizures which equivalent to the ones in human patients. See how closely they matched we were encouraged that our work could translate to real people, so we went on to look for ways to stop the seizures. When the victim experiences an absence seizure, the person appears to be absent-minded. You must have noticed how children going blank while you speak to them. This can be detrimental effects in daily life which are often misunderstood as the child not paying attention to what you are speaking. In such cases, the person does not understand everything of what is being spoken but knows the gist of it. The instances may not be convulsive always. However, it is more difficult to treat non-convulsive seizures in patients compared to their other types. After manipulating the activities of particular neurons in the mouse, the neurons are controlled with laser light. brain using optogenetics, an approach that makes it possible to control the activity of neurons with laser light. They developed methods to detect seizures, and upon detection, quickly changed the activity of neurons in the thalamus to stop the seizures. There already exists an FDA approved a drug which aims the brain activity to cause non-convulsive seizures. The only lacking part was that the drug was never used to treat epilepsy complications in children. Speaking of side effects, there was no side effect on the user post consumption of the FDA approved medication. Since the medication has already been approved by the Food and Drug Administration, USA, it has become easier to bring it in the market as a solution for epilepsy solution.